This spring the Cloisters, the branch of the Metropolitan Museum of Art that showcases the art and architecture of medieval Europe, is celebrating its 75th anniversary. The most famous (and probably most beloved) items in the collection are the Unicorn Tapestries, the seven tapestries that tell the story of the hunt for this elusive animal. 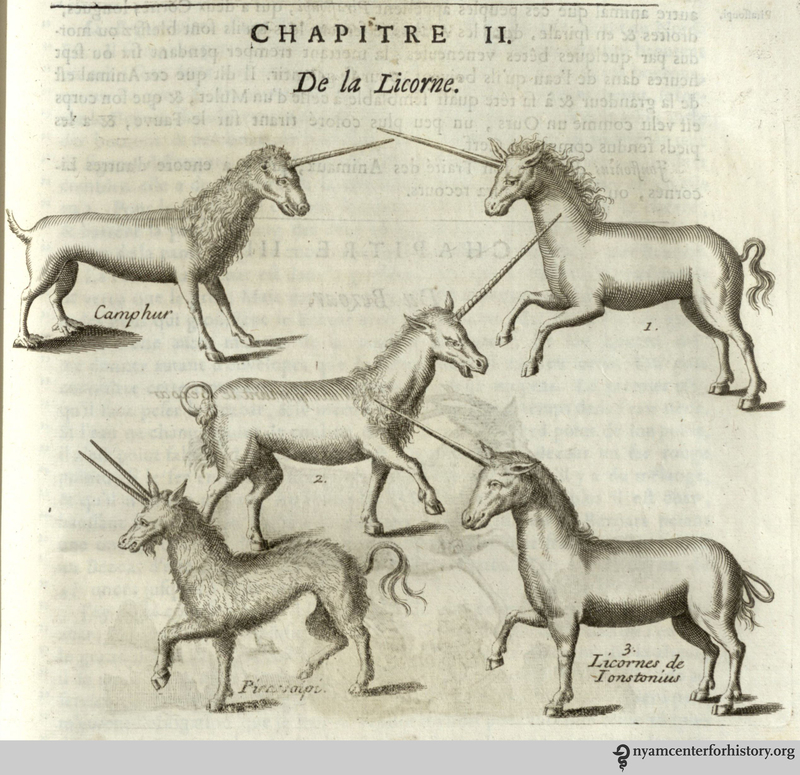 A special exhibit about the unicorn is on display at the Cloisters through August 18th. Pomet (1658-1699), a druggist to Louis XIV, also maintained an apothecary shop in Paris. His Histoire was first translated into English in 1712, and appeared in a second edition in 1725. The book contains detailed information about plant-based remedies, but also describes the compounding of various cures made from parts of exotic animals, metals, minerals, stones, and a variety of other substances. 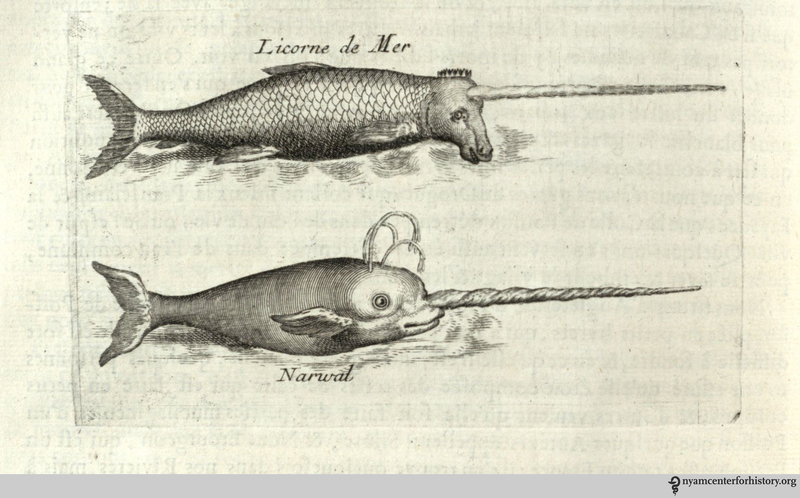 In the case of the unicorn, Pomet admits almost immediately that what is sold by apothecaries as unicorn horn comes not from a unicorn at all, but from a fish, the narwhal, whose attributes he describes later in the animal section of the book. Of course, Pomet was wrong to describe the narwhal as a fish, as it is really a species of whale and whales are mammals. This entry was posted in Collections, History of medicine and tagged drugs, historical collections, history of medicine, history of pharmacy, narwhals, natural history, unicorns by nyamhistofmed. Bookmark the permalink.